I did decide to make my Parcheesi quilt larger. I like most of my quilts twin size or larger. I've joined most of my finished squares and they look so good that I want to make more. I need to make at least 20 more squares (or more, who knows). 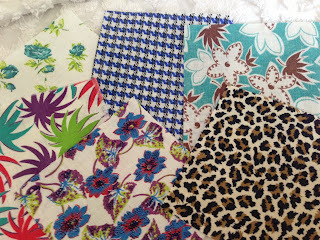 I noticed Barbara at Oodles and Oodles (one of my favorite blogs) had some feedsack squares in her Etsy Shop so I grabbed them. 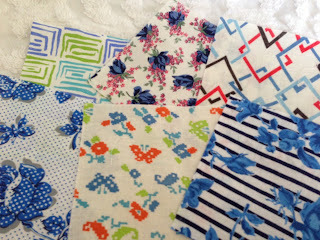 Yesterday the squares arrived so I thought I'd make a few little piles to show you. They are all different for the most part. Nice of Barbara to add a few extras for me. Thanks Barbara. She said she knew they would find a happy home with me. 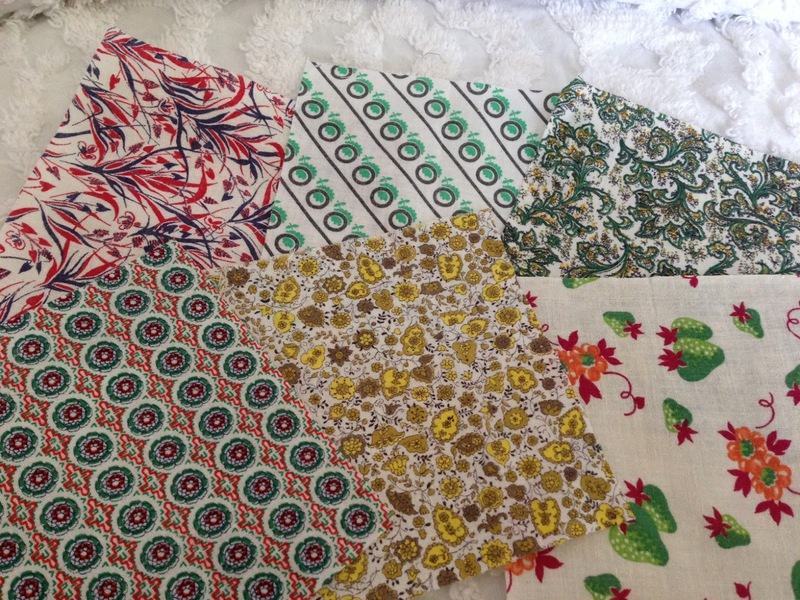 I like each print and pattern. I love the nubby roughness of the texture too. They are all different from squares I've purchased in the past from Glenna. Glenna has an incredible collection. I learned so much about feedsacks from Glenna. I hope to stitch a few more Parcheesi blocks and do some sewing on my barns this weekend. Good morning Nanette. Feed sacks is one of my favorite things. Your are gorgeous. I have some I need to add to my shop. Guess I better get a move one. Your feed sacks are really pretty! That is something I don't have in my stash. Very pretty feedsack fabric! I have a small collection, and need to make SOMETHING one of these days! Thanks for the links to Barbara and Glenna's blogs... both look like fun places to drop in on! Happy sewing! It's the leopard print that screamed 'Nanette!' to me! Happy sewing! 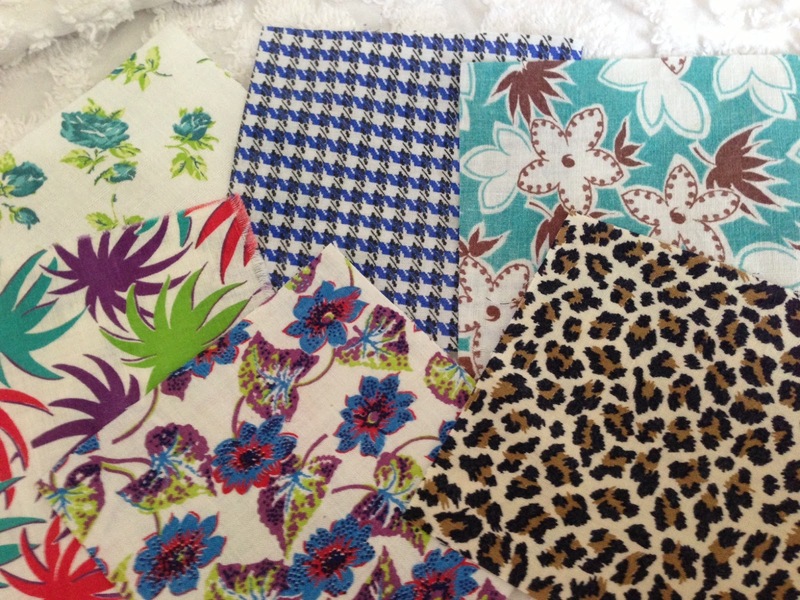 These fabrics are perfect! 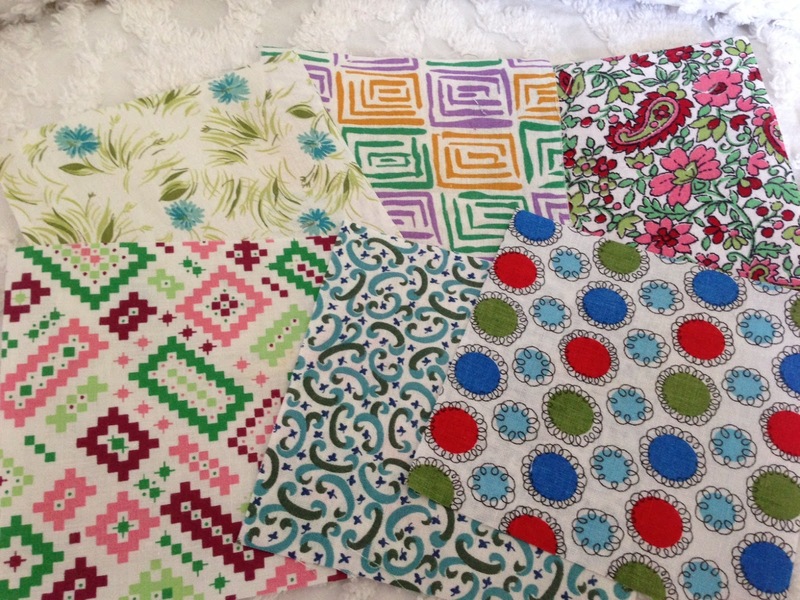 It will be fun to see your Parcheesi quilt as you continue to work on it! Oh gosh I have missed this! I see a new header which is perfection! You do great work of course, but the styles are uniquely you. glad to be back and as Barbara said the leopard print did say your name. I love seeing the feedsacks you got from me in your quilts! 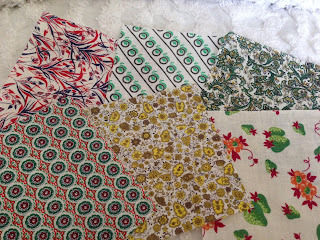 Nothing more fun to sew with than feedsacks.